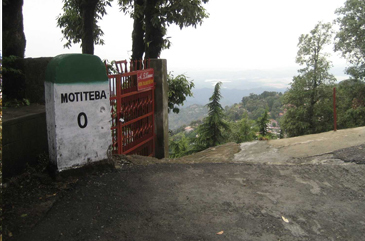 Highlights Moti Tibba is situated 330 meters above Gandhi Chowk at Dalhousie and it is one of the prominent tourist destinations suggested for nature walks. The forest areas of Moti Tibba are densely covered with pine, fir, and oak trees that gives a refreshing experience to the tourists. The scenic beauty of this place attracts photographers and nature lovers, who spend hours amid the picturesque landscapes and capture some of the best scenes of nature. The calmness of this place is adorable and the excellent climatic conditions allure tourists from every corner of the country. So, the next time you want to witness the breathtaking beauty of any hill station, come down to Dalhousie and walk in the woods at Moti Tibba to enjoy the cozy weather conditions over here. It is considered as a favorite spot by many tourists who visit Dalhousie. To have the best experience, one can visit this place in winter as the snowfall makes it look like a heaven on Earth.